I love the little tag on this week's Mojo Sketch. The stamps are a digital set from Verve called Latte Love. 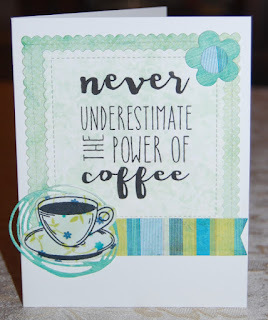 They were shared in a previous Coffee Lovers Blog Hop. The "Hall Pass" papers are from a We R Memory Keepers and remind me of how much coffee keeps me going at school and during late night grading sessions. 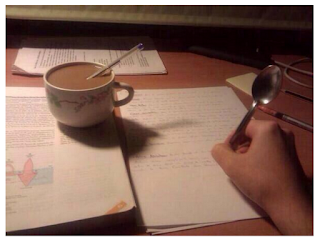 I am linking my card to Mojo 467 and the Coffee Lovers Blog Hop, and will leave you with a little teacher humor. 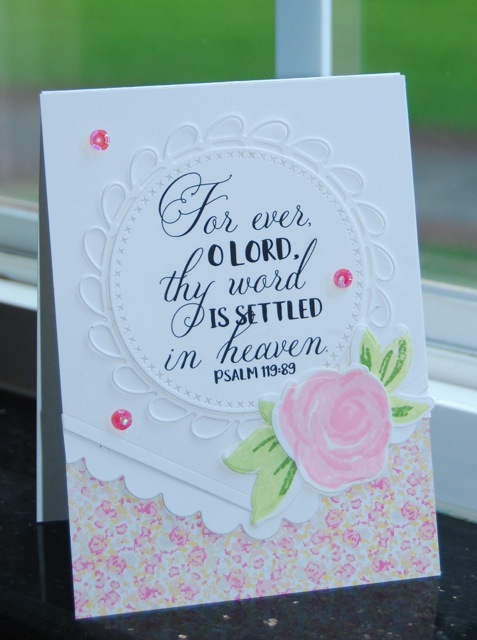 Psalm 119:89 states the precious truth that God's Word is settled forever in heaven. What a comfort that is! The scripture is beautifully lettered and is available for you to download at Word Art Wednesday. It was fun to create a card to feature this Bible truth using Reverse Confetti dies, a multi-step flower from W Plus 9, and paper from My Mind's Eye. It is a special blessing to share there as a guest designer, because the kind comments ---and especially the scriptures and devotions--- have been an encouragement to me. Please take time to link your creations at Word Art Wednesday during the two-week challenge. The Coffee Lovers Blog Hop is in full swing from now until September 30 and has lots of great sponsors. 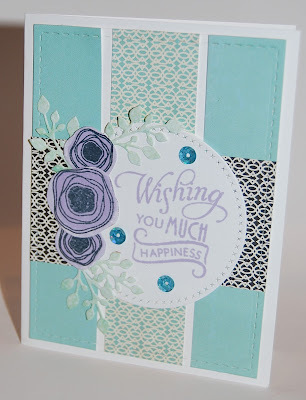 My card shown below features a digital stamp from Gloria Stengel Designs that is being shared during the hop. The pretty papers are called Spontaneous Delight and are designed by Carrie Stephens. Everyone should have a favorite coffee cup... in her cupboard, on her desk and in her stamp collection. 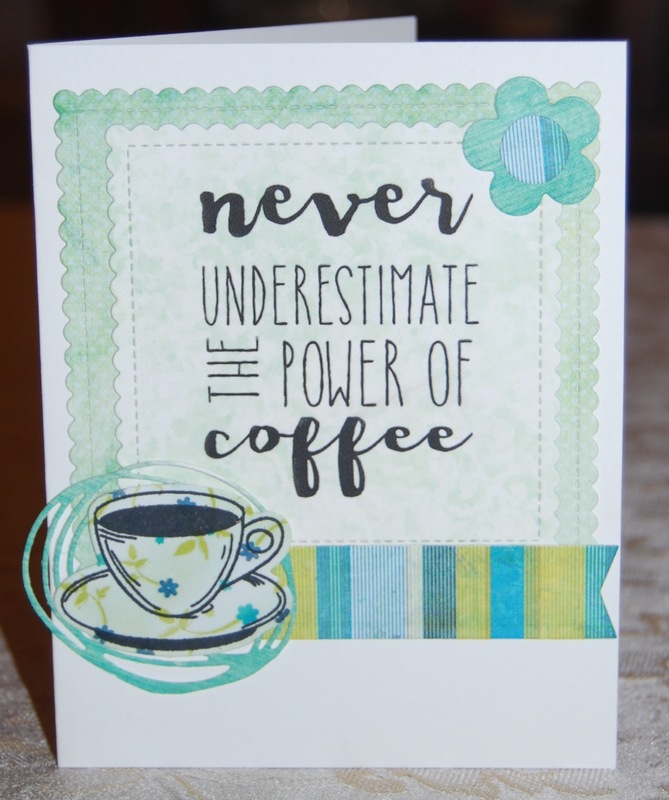 Mine is from the Coffee Set by Verve Stamps. Thanks for stopping by. Have a blessed Sunday.